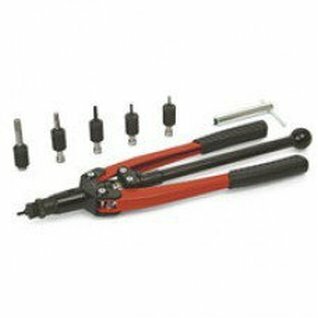 We have a wide selection of Rivet Nut Tools from a number of manufacturers, including Pop Rivet Tools, Gesipa Rivet Tools and FAR Rivet Tools. 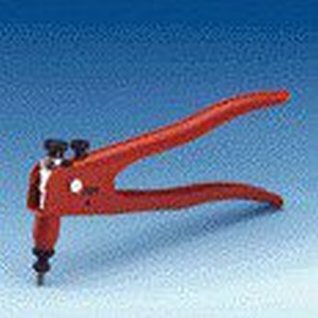 See a selection of Rivet Nut Tools here or view the manufacturer links above. 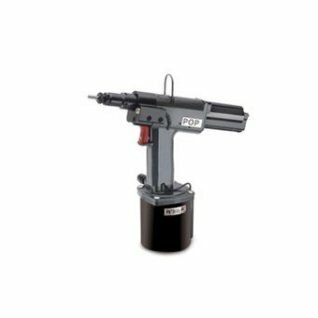 Our Rivet Nut Guns are suitable for a large range of Rivet Nuts for a wide variety of uses and applications. 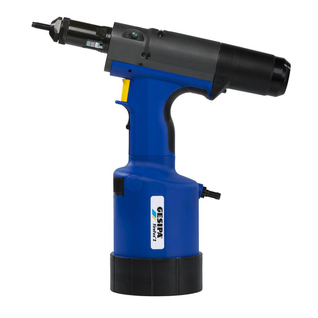 See our complete range of Rivet Nuts or Pop Rivets to compliment your order. 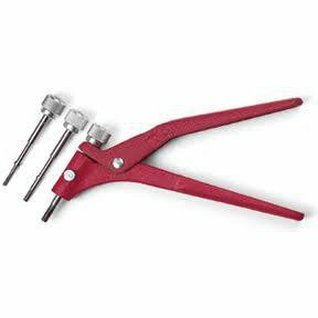 For all of our Rivet Nut Tools, we offer a comprehensive parts and maintenance service on all tools, so please contact us if you’re looking for spares. 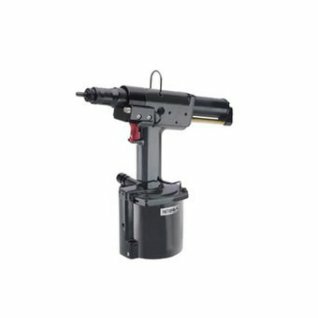 Professional pneumatic/hydraulic riveting tool for setting rivet nuts M3-M12 in all materials (aluminum, steel, stainless steel). 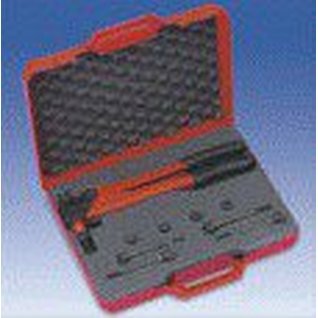 Complete with all fittings from M3-M12 in a heavy duty plastic carry case. 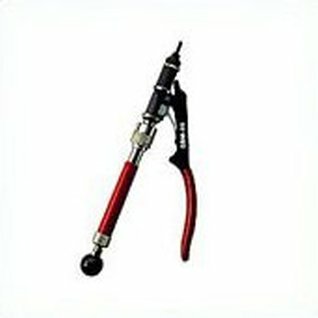 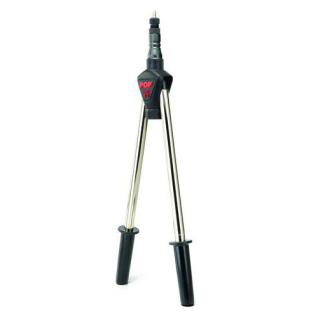 An economical easy-to-use tool for low-volume installation in any material. 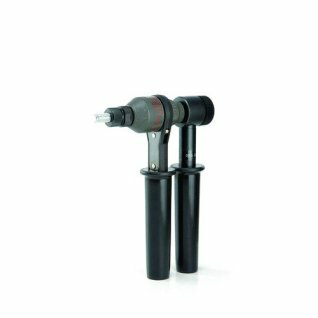 Thread mandrel onto JACK NUT®, insert into hole, and squeeze handles to set. 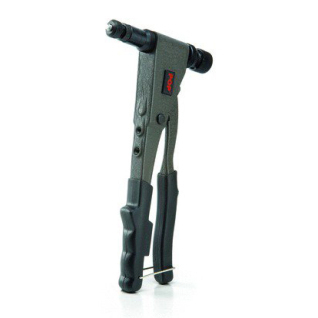 Interchangeable mandrels available to set all sizes. 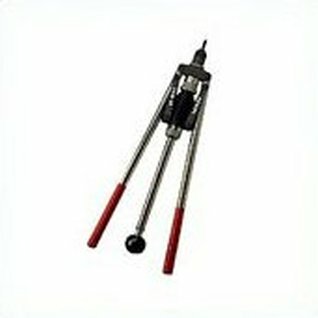 Tools comes with a complete set of M4, M5 & M6 mandrels. 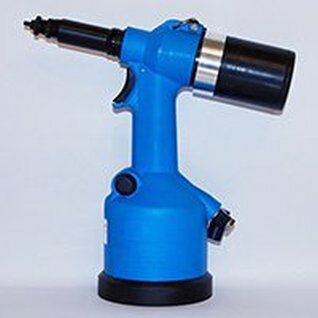 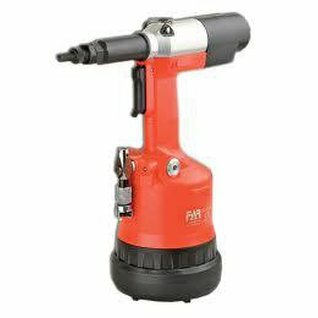 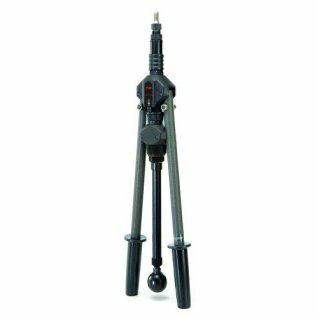 Quick-Drill device - rapid and easy wind-on and off of the threaded mandrel.Favourable transformation ratio - low power input even for larger diameter rivet nuts.Work Capacity :- From M 5 to M 10 all materials. 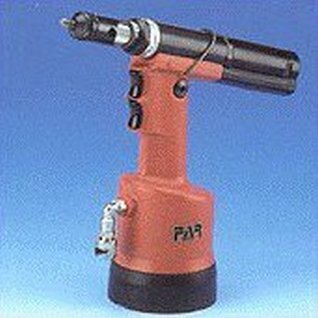 Versatile hydropneumatic tool for high volume production.